Short Business Description: No More Chores is a professional, affordable, and time-saving cleaning service that will leave you delighted. We’ll take those dreaded, boring tasks away and you’ll come home to a clean, beautiful and comfortable home. 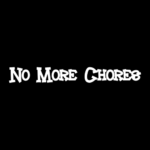 No More Chores of Toronto Cleaners is dedicated to providing time-saving and cost-efficient residential cleaning services Toronto homeowners can rely on. Services provided include basic and deep house and condo cleaning, move-in/move-out cleaning, and post-construction cleaning. Additionally, the company provides commercial cleaning services, office and Airbnb cleaning.